On this day, July 19, 1899, a discovery is made which helps a non-establishment scholar push the frontier of human knowledge further back in time thus opening to the human race a new field of study documenting the advancement of civilization. The ancient Egyptians wrote in hieroglyphics, a script of pictures and symbols. They used two methods of writing. In one they carved their writings on stone monuments. The other method of writing was the common way, on papyrus, a paper from the papyrus plant. Egyptians used this paper to record business transactions and affairs of state as well as for personal writings. Papyrus is the origin of our word “paper.” Isn’t exciting to realize how connected we are with ancient history? The common people were doing so much writing they simplified their hieroglyphics into a cursive or hieratic writing, similar to how we write today. Later, they developed an even simpler writing similar to our short-hand, called demotic. The Egyptians went from hieroglyphics, to hieratic, to demotic writing styles. Napoleon came to Egypt in the 1790’s. The Great Pyramid in Giza, which was built thousands of years earlier, was the tallest building in the world. 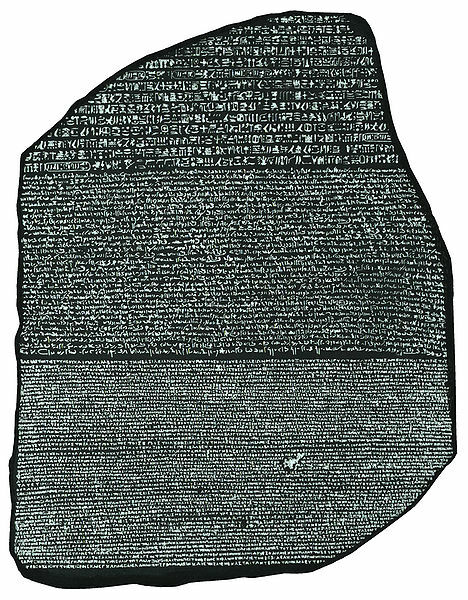 Then, on this day, July 19th 1799, Napoleon’s soldiers discovered what we know as the Rosetta Stone, in Rosetta, Egypt. This slab of rock contained parallel writings in Egyptian hieroglyphics, demotic, and Greek. Scholars began working to uncover the meaning of the ancient hieroglyphics, however, they were frustrated in their task. While they were spinning their wheels, a young man was growing up in France who would give these proud establishment scholars a run for their money. Let’s take an excursion here and give a little background on our hero which will help us better appreciate his accomplishments. 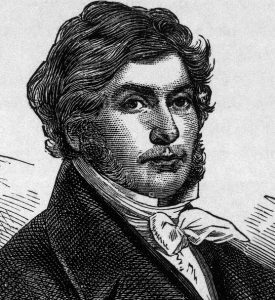 Champollion was from a poor family who couldn’t afford providing him with a classy education. But Champollion had an exceptional mind; we might even call him a child prodigy. His brother, recognizing Champollion’s potential, encouraged him to develop his talents, which he did. By age thirteen he spoke six ancient languages! Thanks big bro! Now back to the story. Champollion was fascinated with ancient Egypt and was obsessed with learning the meaning of the hieroglyphics. He worked tirelessly on the project. One day Champollion was granted access to a text that was carved on a recently discovered obelisk. The inscription was written in hieroglyphic style. At the base of the slab there was Greek writing saying the inscription was about Cleopatra and Ptolemy. Champollion logically concluded that those two names must therefore be found somewhere in the Egyptian text on the obelisk. So by carefully comparing the two languages he was able to decipher twelve letters in the Egyptian alphabet. But this text by itself couldn’t unlock the mystery of the ancient hieroglyphics. More comparison must be done. At this time scholars weren’t too sure what Egyptian hieroglyphs actually were. Most thought they were silent symbols. Since symbols can’t be spoken the scholars concluded we’d never know the meaning of the Ancient Egyptian writings. Champollion, however, disagreed. He believed the Egyptians developed a system of words and letters. The “smart guys” made fun of his suggestions insinuating that since the “recognized, qualified, scholars” disagreed with the young and inexperienced Champollion he should keep his mouth shut. Remember this very important fact: the scholars of the day mocked Champollion’s claim of an Egyptian alphabet. Sometimes the professionals can become stagnant. Though well meaning, they may be trapped in a status-quo loving system which is detrimental to progress in learning. But Champollion was of the conviction that the job of a Scientist is to question everything. Truth is the goal, not status-quo or tenure. Champollion was convinced the hieroglyphs made words, and if words, they must be spoken. Operating under this working theory, Champollion studied the last known language spoken around the time the hieroglyphs were being used. This language was still spoken by Coptic Christians in Paris. Champollion reasoned that he might be able to match sounds of the Coptic to the hieroglyphs. He was relentless in the pursuit of the truth. The discovery of the Rosetta Stone combined with his scientific research helped Champollion solve the mystery. 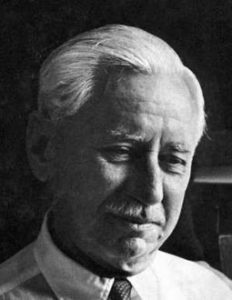 After twenty years of labor he translated the Rosetta Stone and discovered the Egyptian alphabet. Champollion recovered a lost world! Now Egyptian writings can be read thus opening to mankind a completely new field of historical study. This was made possible by the efforts of a non-establishment student who refused to submit to the arrogant pronouncements of the stagnant establishment. This entry was posted in Uncategorized on July 19, 2017 by dsheridan.